One lane is currently closed between junction 27 for Standishand 28 for Leyland. 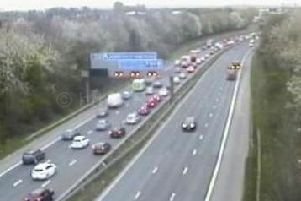 North West Motorway Police have been called to an incident on the M6 Northbound. The accident happened at around 7.30am and early reports suggest it involved four vehicles, say police. All lanes have now re-opened following an earlier closure between junction 27 for Standish and 28 for Leyland.